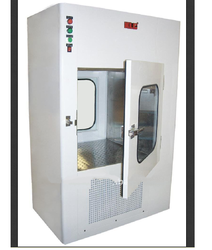 We are a leading Manufacturer of cleanroom air shower, dispensing booth, biological safety cabinets, pass box, static pass box and clean room work bench from Mumbai, India. Pre Filters Filter media, washable with water and reusable. 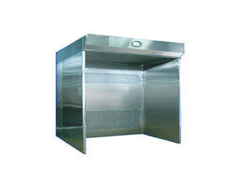 We offer a wide range of Cleanroom Air Shower which is recommended for superior quality and efficiency. These products are specially designed to supply concentrated Class 100 air flow. The contamination sticking to the clothing surface can easily be blown off form before a man enters a clean room. Manufactured with the latest technologies, our air shower is capable of passing the pressurised air through adjustable nozzles at a velocity of 7500 approx. feet per minute. These nozzles are installed in side walls and ceiling. In addition to this, the contaminated is allowed to pass down through aluminium grated hollow walls and floor. Our air shower is a fully automatic system and has the electromagnetic door interlocking system which ensures to open the door one at a time. High capacity forward curved blower statically and dynamically balanced, direct drive type, sized to provide adequate airflow. Filter media, washable with water and reusable. Fiber glass made, fully tested to confirm US Fed and IES Standards of rating 99.97% for particles down to 0.3 microns. With the commencement of advanced equipment, tools and technology, we are captivated in providing a broad collection of Dispensing Booth. Due to their high performance, corrosion resistant nature, reliability. 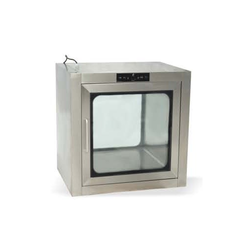 We offer high-quality Biological Safety Cabinets specially designed with ventilated containment enclosures. 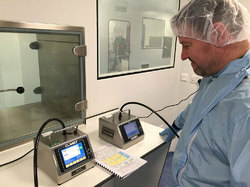 This particular feature ensures safety work even in a high-risk environment which may contain contagious micro-organism, and the formal del Hyde fumigation deactivates for proper maintenance. HEPA filter is used ducting the exhaust air into the atmosphere. 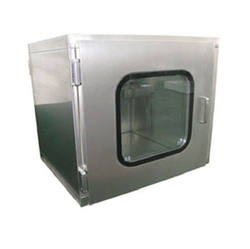 Our cabinets comprise of recirculating laminar air flow enclosures with the air barrier and HEPA filtration of exhaust air at the opening work. These products also offer separate HEPA filters for laminar and exhaust air flow. in addition, vertical laminar air flow conducive to an environment, personal and product protection. We have established ourselves as one of the premier manufacturers of Pass Boxes in India. These are fabricated using quality stainless steel and in compliance with the prevailing industry standards. Through the use of this box, the specimen passes through and facilitates the collection of lab samples while maintaining patient privacy. These include two doors, one on each side with a door interlock system that prevents both doors from opening at the same time. These are also known as hatch boxes. Our Static Pass Box is manufactured with the latest advanced technologies and premium quality raw materials (s. S. 304 construction). It comprises of standard features, such as u. V. Light, stainless steel mechanical interlocking arrangement, glass doors and stainless steel cladded base. 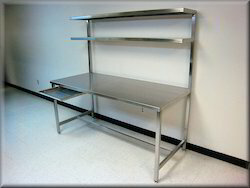 Our team of skilled and trained professionals have been instrumental in the manufacture of Clean Room Work Bench. These products are specially used in hospitals, research centres and many more industries.Clean room equipment includes. We are the leading and prominent Service Provider of Cleanroom System Testing & Validation. 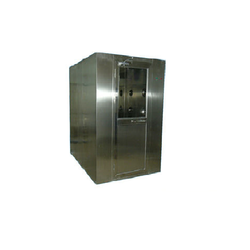 Being a well established-organization, we are engaged in manufacturing and supplying a distinguished range of Dynamic Pass Box that is helpful in minimising traffic and contamination entry into the clean room. 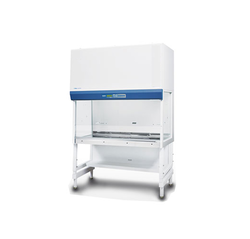 Looking for Clean Room Equipments ?